Public accountability is critical to a democracy. But as government becomes ever more complex, with bureaucracy growing ever deeper and wider, how can these multiplying numbers of unelected bureaucrats be held accountable? The answer, more often than not, comes in the form of inspectors general, monitors largely independent of the management of the agencies to which they are attached. How, and whether, this system works in America is what Nadia Hilliard investigates in The Accountability State. 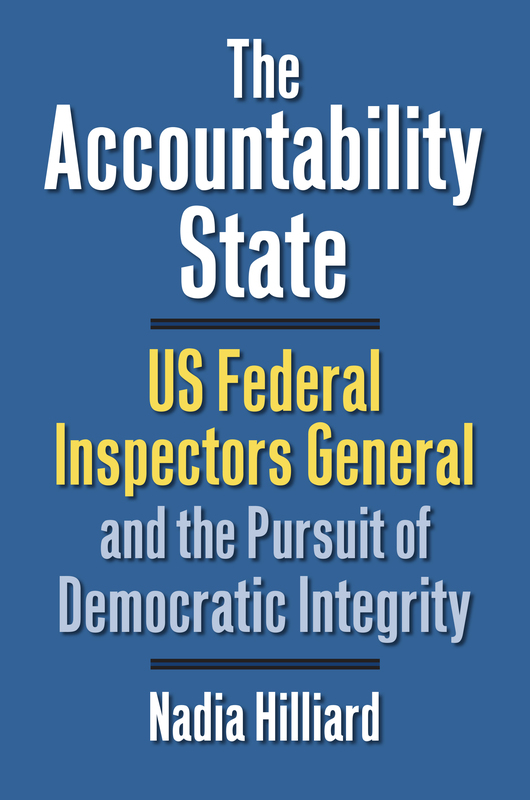 Exploring the significance of our current collective obsession with accountability, her book helpfully shifts the issue from the technical domain of public administration to the context of American political development. Inspectors general, though longtime fixtures of government and the military, first came into prominence in the United States in the 1970s in the wake of evidence of wrongdoing in the Nixon administration. Their number and importance has only increased in tandem with concerns about abuses of power and simple inefficiency in expanding government agencies. Some of the IGs Hilliard examines serve agencies chiefly vulnerable to fraud and waste, while others, such as national security IGs, monitor the management of potentially rights-threatening activities. By some conventional measures, IGs are largely successful, whether in savings, prosecutions, suspensions, disbarments, or exposure of legally or ethically questionable activities. However, her work reveals that these measures fail to do justice to the range of effects that IGs can have on American democracy, and offers a new framework with which to evaluate and understand them. Within her larger study, Hilliard looks specifically at inspectors general in the US Departments of Justice, State, and Homeland Security and asks why their effectiveness varies as much as it does, with the IGs at Justice and Homeland Security proving far more successful than the IG at State. Nadia Hilliard is Junior Research Fellow in politics at Balliol College, University of Oxford and a post-doctoral researcher at City University in London.